Fast exposing and a highly durable water resistant emulsion, ideal for DTS and CTS as well as conventional exposure. 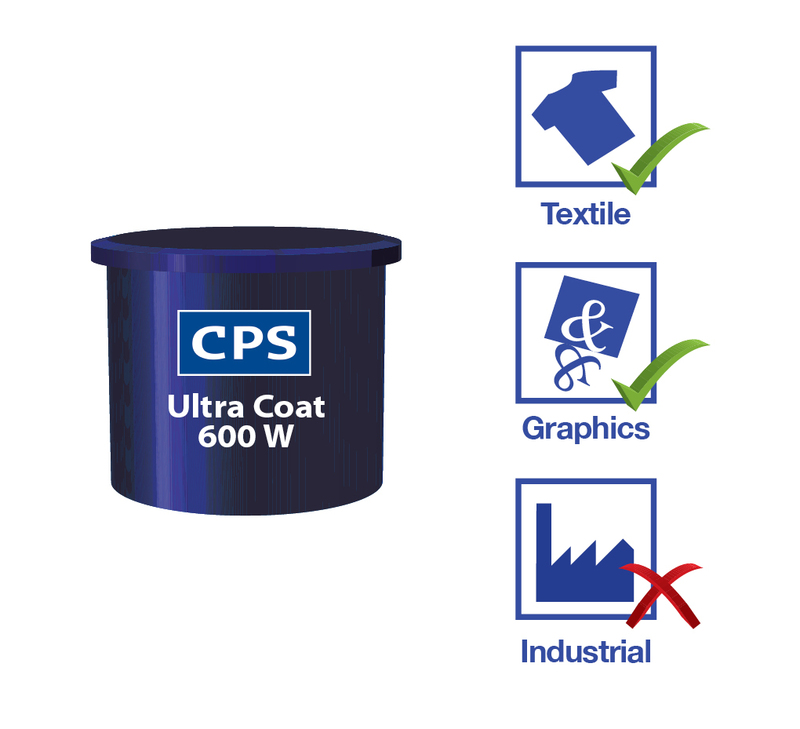 CPS Ultra Coat® 600W is a water resistant, hazard label free, high resolution and a highly durable emulsion that offers energy savings for screen printers of bags, garments, fine arts and flags due to its fast exposure speed. This emulsions is also suitable for use with direct to screen (DTS) and computer to screen (CTS) technology. CPS Ultra Coat® 600W is a water resistant, hazard label free, high resolution and a highly durable emulsion that offers energy savings for screen printers of bags, garments, fine arts and flags due to its fast exposure speed. This emulsion is also suitable for use with direct to screen (DTS) and computer to screen (CTS) technology. CPS Ultra Coat® 600W is recommended for applications requiring fast exposure (including DTS and CTS) and a highly durable, water resistant emulsion. 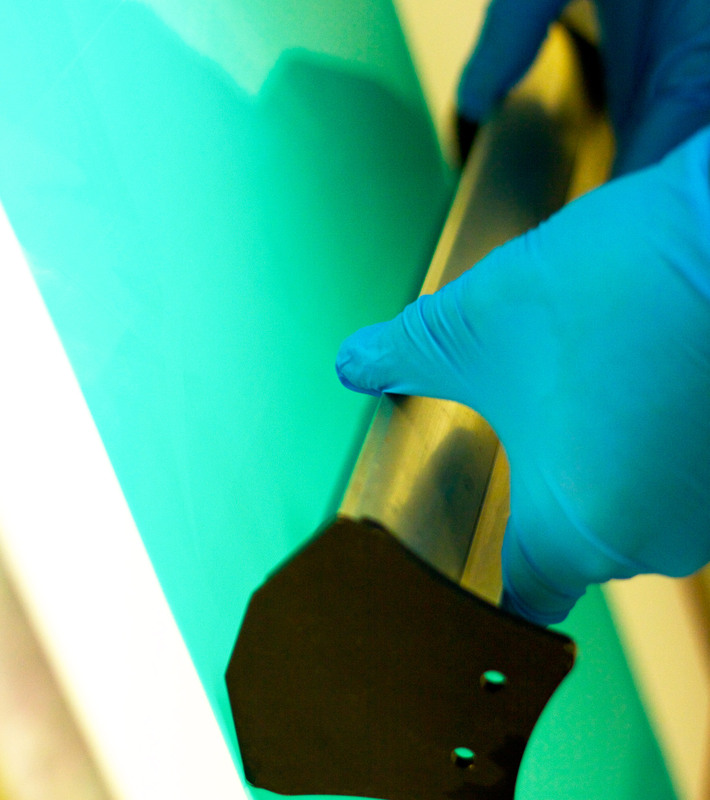 Ultra Coat® 600W is not suitable for long run printing with solvent based inks. Screen printers of flags, banners, fine arts, wall papers, textiles, aparell, bags, t-shirts and tea towles. 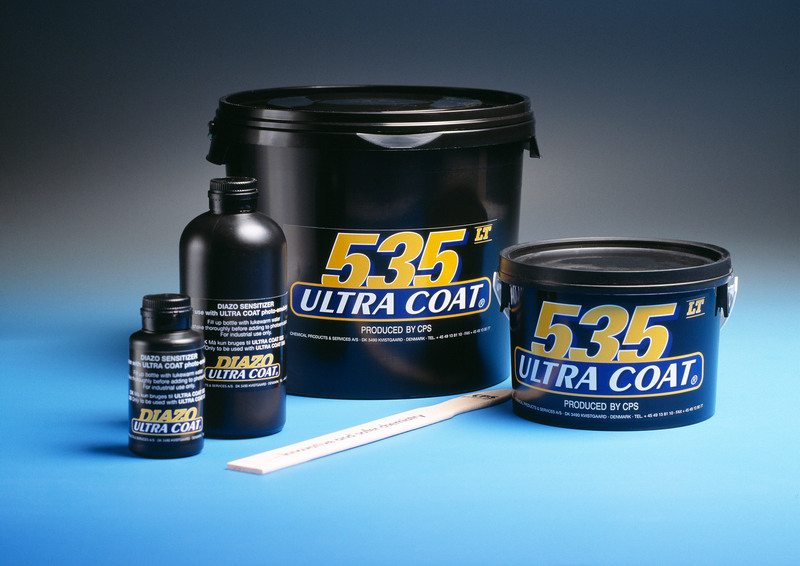 Durability of Ultra Coat® 600 W can be increased by post exposure and by coating screens with a greater than 1+2 coating.